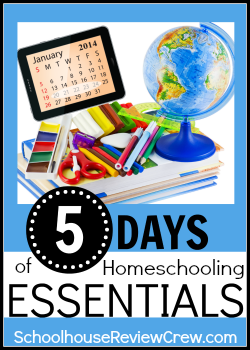 Is it Day 4 of the Homeschooling Essentials Blog Hop already? I hope you have enjoyed reading about how laughter, love, and limits are an essential part to our homeschool success at Life with the Tribe. Today, I’m going to chat a bit about something we all have in common. Life. No matter who you are, where you live, how many children you have, or how long you have been homeschooling, guess what? Life is going to happen. There is nothing we can do to make it conform to the best laid out schedules. There is no perfect curriculum that flows with no delays or interruptions from life. Life happening can be the best of things and the most challenging of times. I know that personally we have dealt with new bundles of joys, the death of a little one, job loss, moving, and unexpected gorgeous weather that can’t be ignored. Some of those life happenings bring unmeasurable joy, while others make us stumble. All of those things can set our homeschool off track. 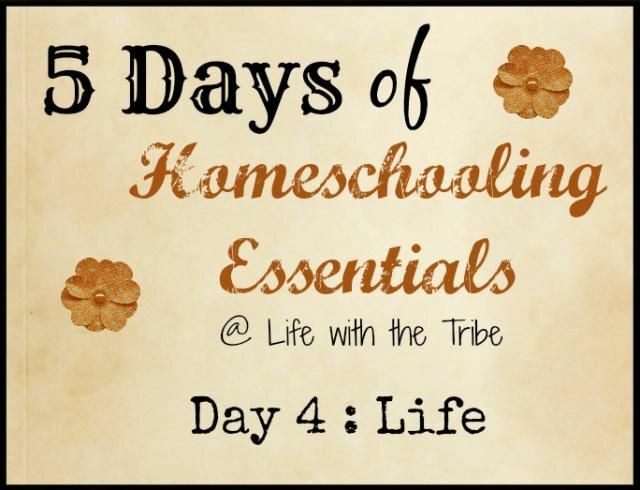 How does life become an essential to homeschooling? I have found that the best way to handle these unexpected interruptions is to embrace them for what they are and use them for teachable moments. Instead of allowing them to overwhelm and consume us, they can be used in amazing ways. When our Joshua passed away, life came to a screeching halt. The last thing on my mind was lesson plans and learning objectives. However, my children learned more during that time period than any curriculum could proclaim to teach. My children got to enjoy a dear friend gathering them together for read alouds. My children were able to see the beauty of a church body coming together to walk beside us during this intense loss. My children learned about loss and grief; death became a reality. Life teaches. The birth of a new little one results in no one being interested in math and reading. This life event has taught my children how to comfort a fussy baby, the joy of rocking a little one as she drifts off to sleep, and the importance of letting mommy nap. It is also an opportunity for children to tackle new tasks and responsibilities; to practice working together and helping get jobs done. Today, as you are reading this post, I am at the hospital while my son is having surgery. A surgery consult on Tuesday led us to surgery two days later. We had expected the surgery date to be at least a month away. However, there was an unexpected opening on the OR schedule. Surgery was not in the plans for this week. Life happened and we are rolling with it. Everyone is pulling together to get everything in place. Grandparents are with the other children. The children are learning how to flex with a change in plans. It doesn’t stop us in our tracks. We adjust and keep moving. Embracing life is essential. We can’t opt out of life. We can teach our children how to take the good and challenging realities of life and keep moving forward. Do I always embrace what life has to offer? No, I fail. Who doesn’t? My children can learn from that as well. I stumble, I falter, and I lose my focus on the Truth. Thankfully, the Lord gives us grace and mercy and we can pick ourselves up and keep moving. Life is essential to learning. I have enjoyed reading about the homeschooling essentials of other bloggers. I hope you have as well. 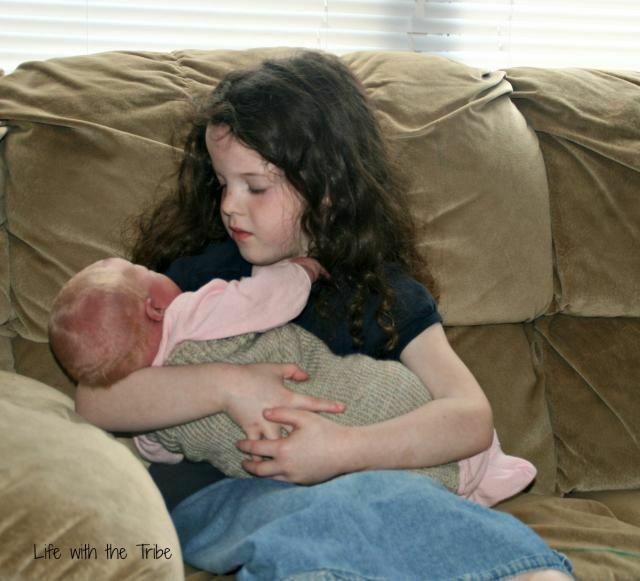 This entry was posted in Homeschool, Something to Share, That's Life, The Tribe and tagged baby, blessings, blog hop, family, Homeschool, siblings by sweetie. Bookmark the permalink. Beautiful post. ♥ I love your point about embracing life as it happens… perfect! I pray the surgery goes well and for a quick recovery for your son. Oh how I can relate to this! Our son Noah died 3 years ago and we have had many up & down life situations, things that grew our children, brought us closer together as a family and never could have if they were in a traditional school. Very well said. We also had a stillborn – a baby girl – in 2000. It definitely changed our family and focus in many ways, like you mentioned. God bless, and praying everything worked out ok for the surgery this week. Thank you for sharing your beautiful story and pictures. Praying that all went well with the surgery and for an excellent recovery and healing. Blessings to you all! Melanie (Wren) recently posted…Quick and filling weight loss kick off!